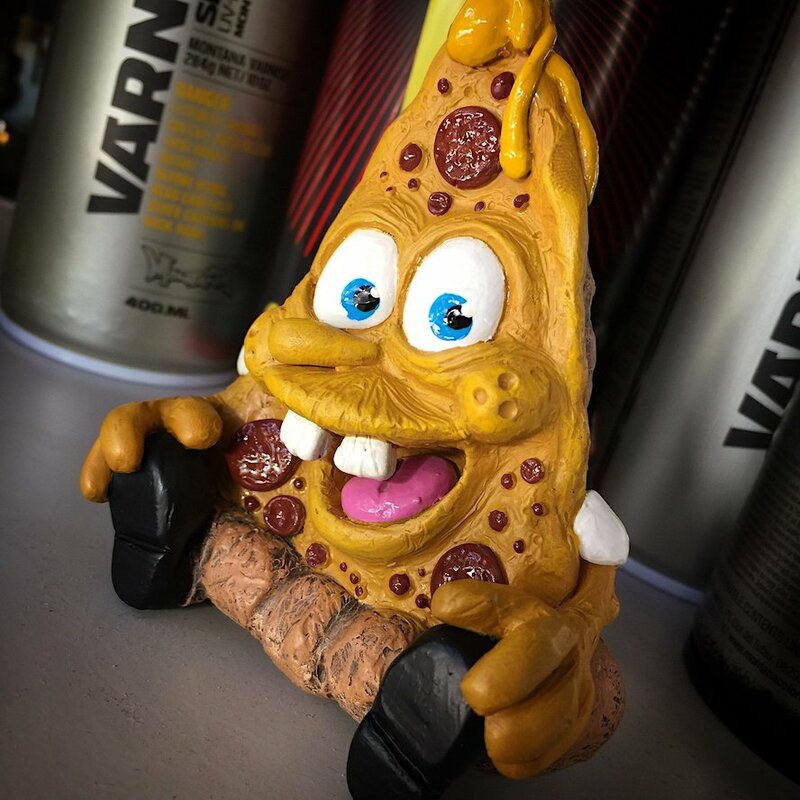 PIZZA BOB CRUST PANTS by UME Toys Available Now Online! 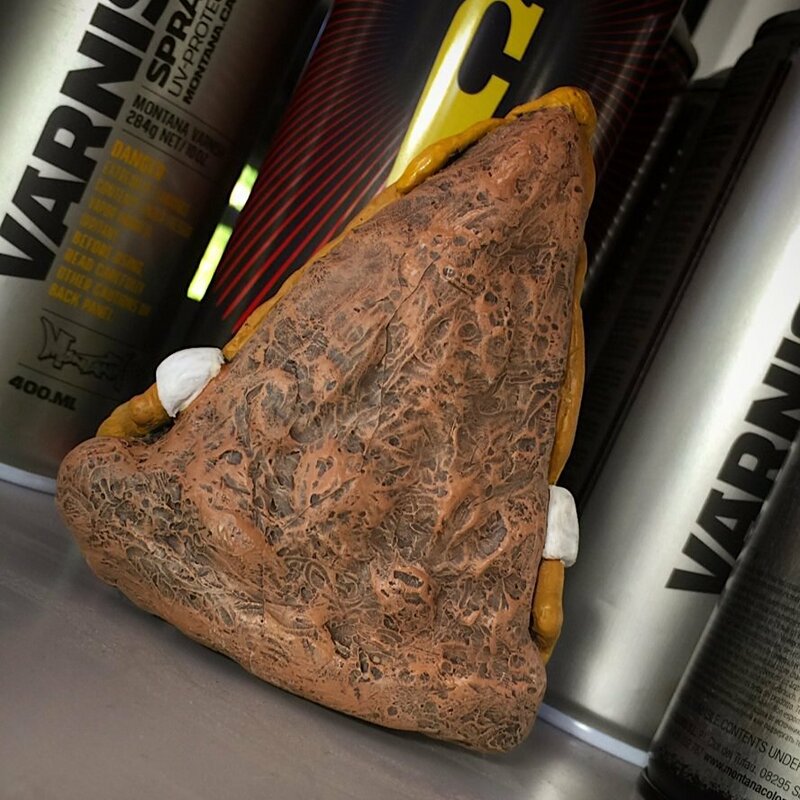 WHEN/WHERE: Availalb online now here. 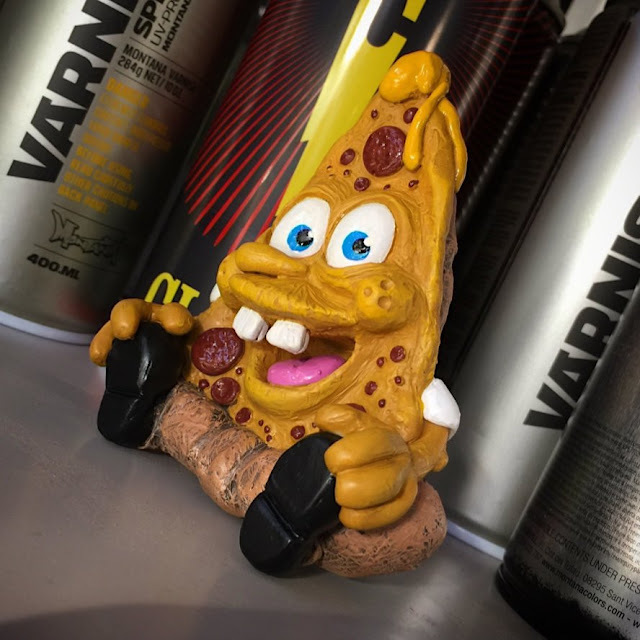 REMARKS: It's one thing when folks appropriate Spongebob Squarepants, another when an entire character is developed from it - enter Richard Page's PIZZA BOB CRUST PANTS! 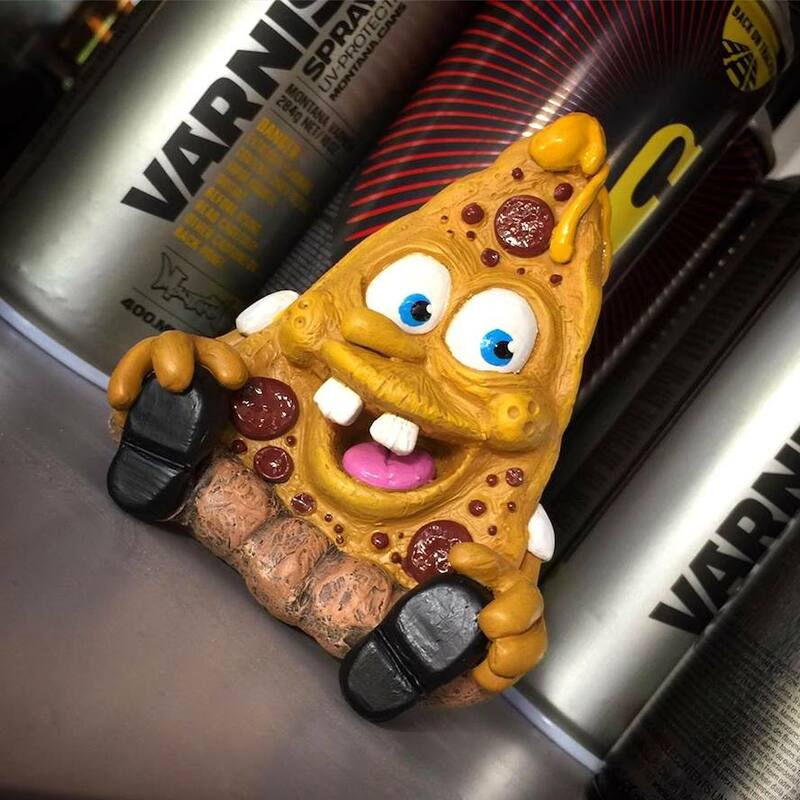 Currently served up (ships in a header carded bag with a matching sticker) is this hand-sculpted, hand-casted and hand-painted 4-inch tall resin collectible , for your purchasing considerations! 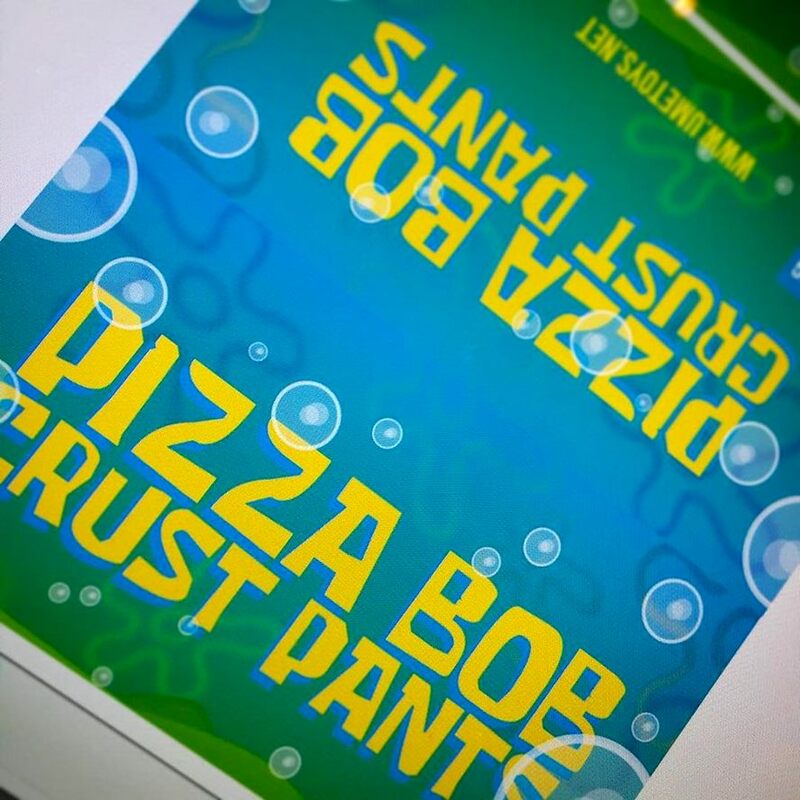 "Who lives in a pizza box under the sea? Pizza Bob Crust Pants!"